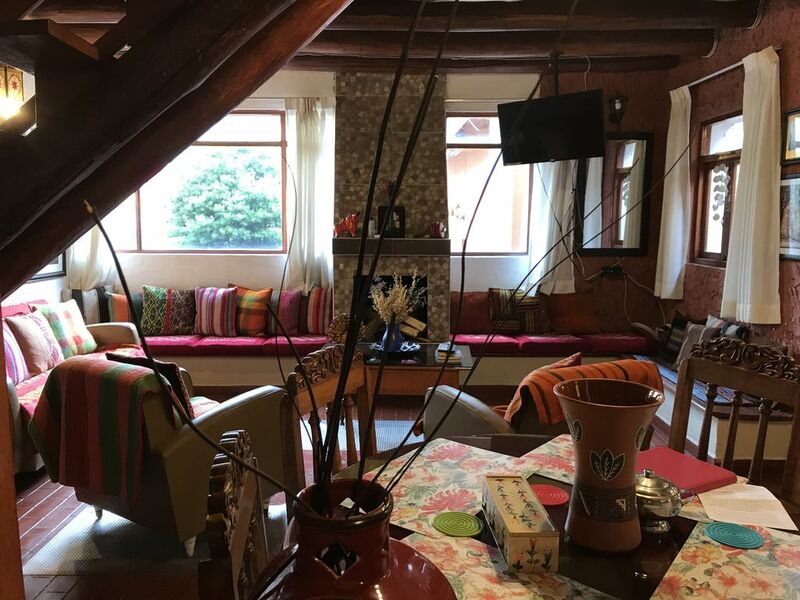 CASA MONDRIANA DUPLEX is a fully furnished two floors apartment with 2 large vaulted ceiling bedrooms, 2 separate bathrooms with showers with a total of 4 beds (up to 06 guests): two matrimonial beds and two single beds. This unit is ideal for families, group of friends or even couples. The apartment has a kitchenette, a fireplace in the living room, a round dining table and Satellite Cable TV and WiFi. Located at only 5 blocks walking distance from the main Square (Plaza de Armas), and surrounded by local businesses and restaurants. Space/portable heater available for rent. We provide clean cotton sheets. And we change them on a weekly scheduled cleaning on reservations of 7 days or more. We provide bath and hand towels. And we change them on a weekly scheduled cleaning on reservations of 7 days or more.